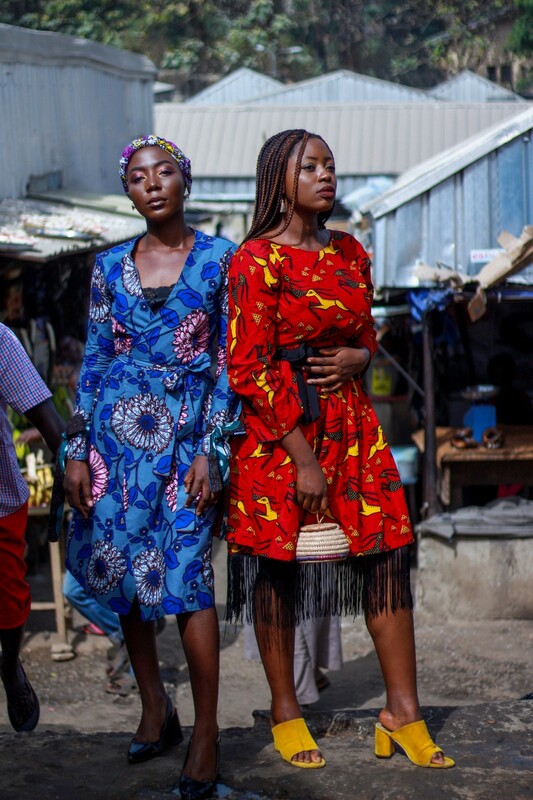 Ankara prints in a Nigerian market, I couldn't think of a better duo. 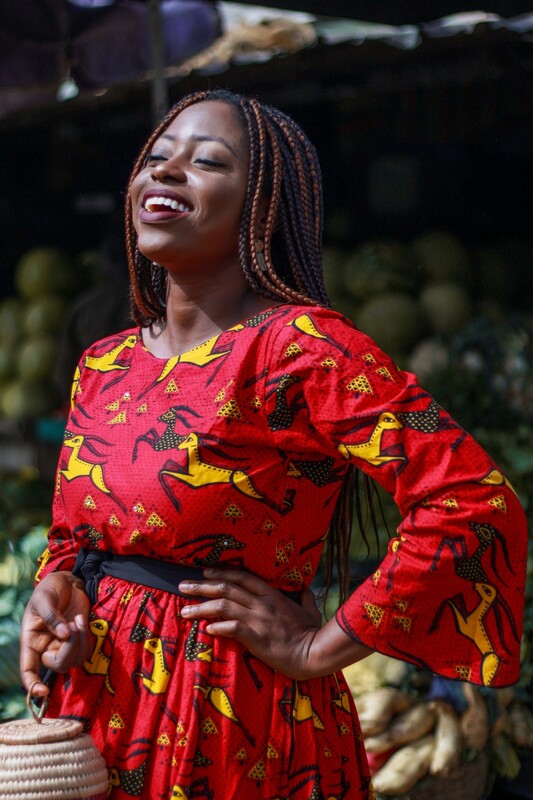 There's something quite vibrant about our ankara African prints which just makes them so perfect or should I say befitting for your typical Nigeria market. While chaotic and a little stressful, there is just something quite pretty and artistic about the arrangements of fruits, vegetables, the partition of shops and the haggling of prices in a market. To tell you the truth, I detest going to the market. I know I'm not alone in this. The chaos albeit artistic is not something I enjoy nor the haggling of prices as I'm not the best bargainer. But it's home to all the fresh and needed ingredients to make my tummy happy so I go. 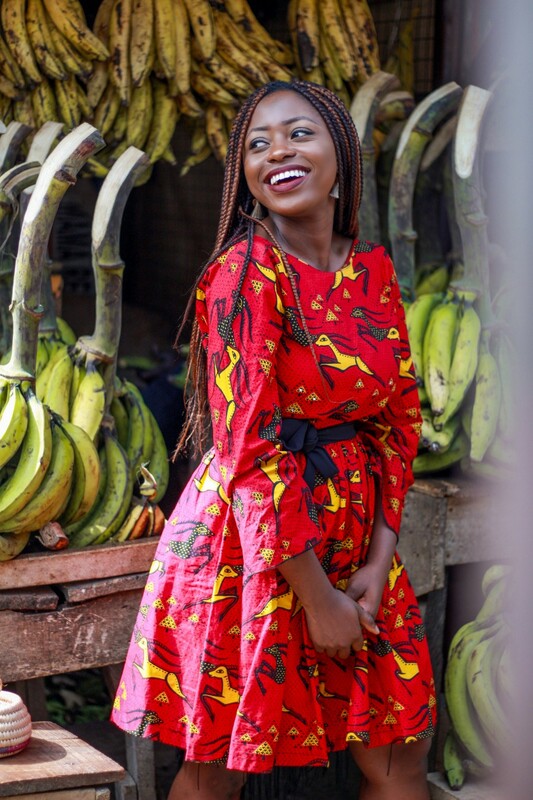 It was on one of these occasions that I thought to myself, how beautiful would it be to do an ankara shoot in the market. I've always wanted to do one actually so I put it out into the universe (my Insta Stories) and started planning. To tell you the truth I didn't expect the responses I got. An overwhelming number of fellow creatives showed interest in this but given the limits of the market, I and Vanessa simply went ahead. 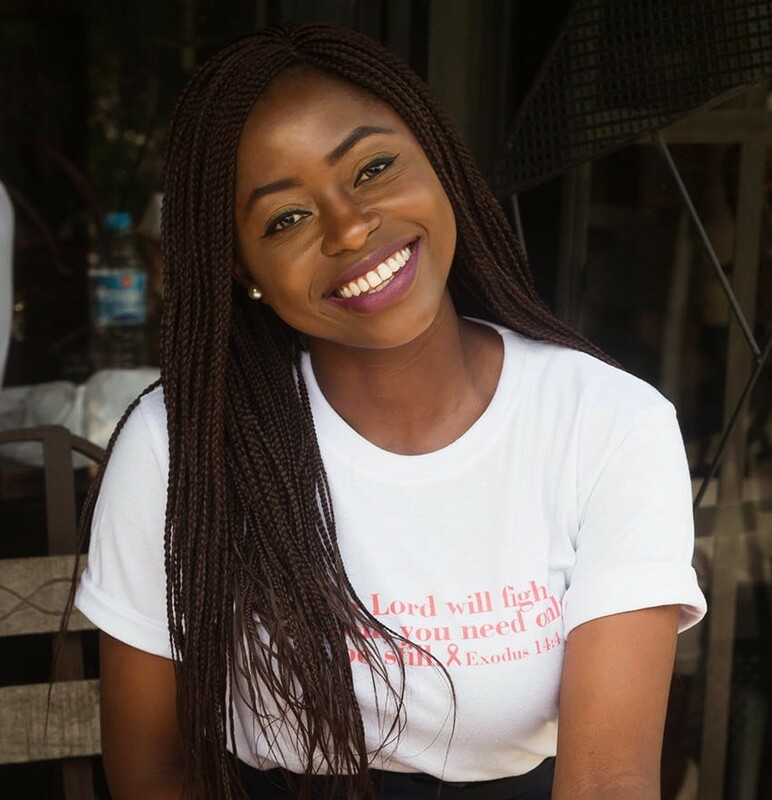 Our photographer, the amazingly talented, kelechi Orode was ready and at some point, we even got a designer until it didn't work out. 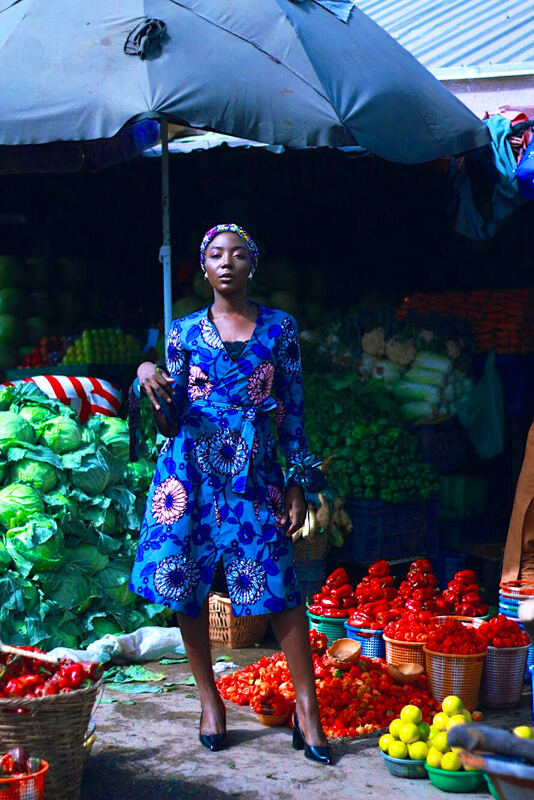 So what's it like shooting in a Nigerian market? Now head over to Vanessa's blog, Style by Ohaha for her take, she's an amazing writer so you'll love it! I'm actually wearing two separate pieces in this look. 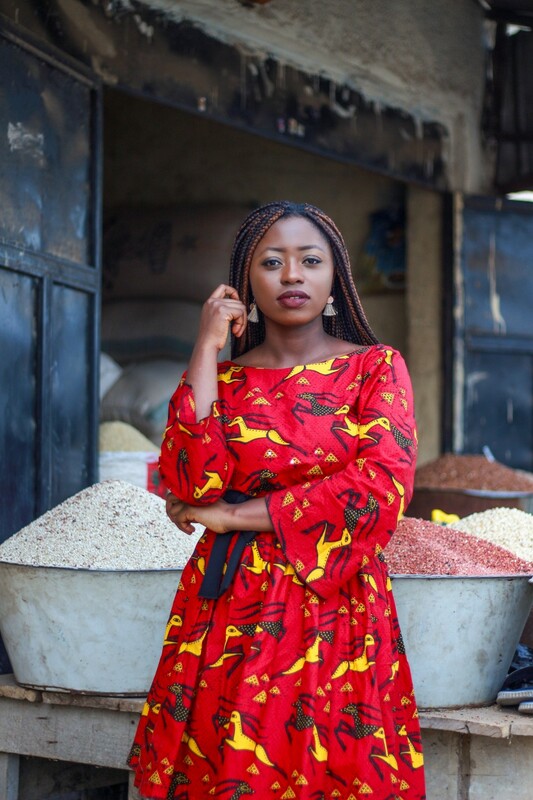 I layered my sister's ankara skirt (styled here) over a dress (previously styled here) and then I got a black rope to cinch in my waist and bring the entire look together. It's funny because my sister and I shared 6 yards of fabric and got three pieces out of it, a dress for me and a skirt and top for her. Which brings me to my theory that your average Nigerian tailor either steal materials or wastes it. 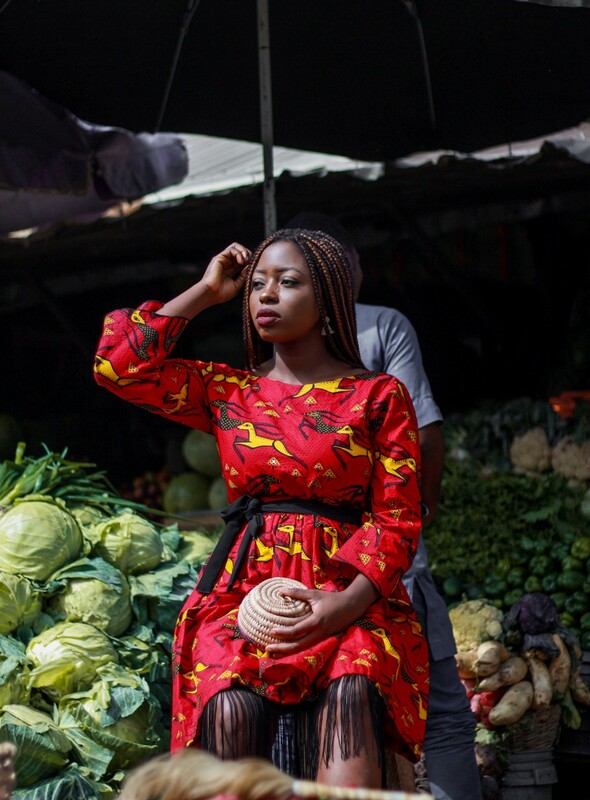 Over to you, would you shoot in a Nigerian market? What's your favorite thing about going to the market? 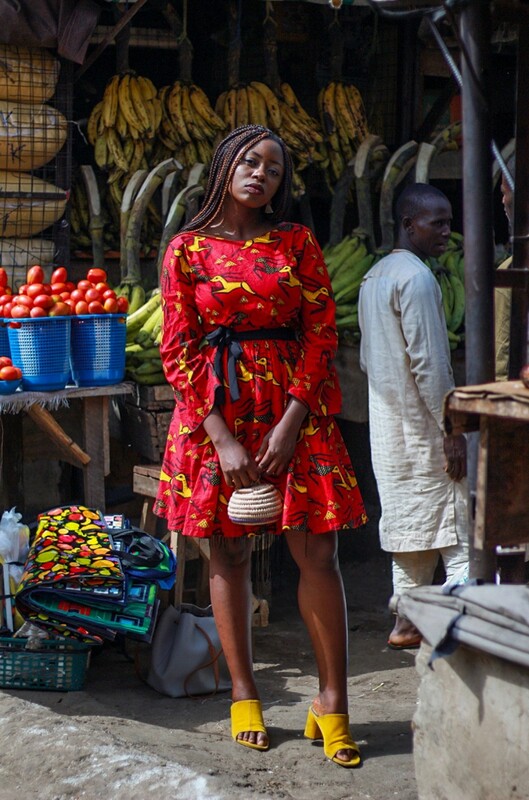 Thoughts on ankara in a Nigerian market? I'd love to know! I like the photos and I love your dress, complete with the styling - is that a separate piece with the slinky bits? Y'all that shoot in public in Nigeria have mind. It's not something I would have done, unless I had 3 or 4 other people with me. Yes, I'm a bit of a chicken and I don't like confrontation. Had to go back and add outfit details, totally missed that. Thanks Berry. It's two separate pieces, a dress and skirt with a random rope. Lol I totally get it, shooting in public is not easy but na the work wey we dey do. Overtime one gets used it it. Yes o yes it’s all so vibrant ❤️ Now I’m thinking of a market product shoot ��. Thanks for always stopping by and making your presence know hun, I appreciate you for that. Now a shoot with your shoes would be awesome, I say do it. Now I understand the fringe beneath the dress, being trying to wrap my head around it, lols. I really love the outcome of this shoot, it is culture rich. You are not alone in the market dilemma, Sarah. I hate it as much too and would prefer to buy my items in a supermart except they wont be fresh. Lol, we gotta work our wardrobe! Thank you, I'm glad you love it. I prefer supermarkets too but then again that is more expensive as well. Thanks for stopping by Debs. You both look great Sarah! Now, I'm here wondering when I'm gonna do my own market shoot! Yay, thanks Oroma, good to see you on here too. I look forward to seeing one from you! 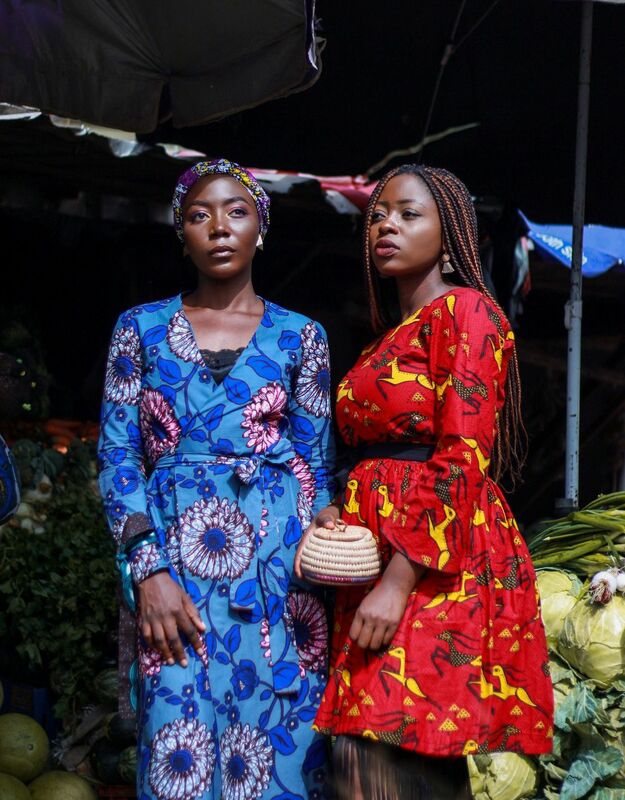 Both of you look stunning and I actually think this might be my favourite fashion-related post from you.. the colours, the outfits, the bravery, everything!! I am super impressed by all of it. Well Done Vanessa and Sarah!! Yay, thank you, I'm glad it turned out quite well. Thanks for stopping by Desire, I appreicate the support. I would totally shoot in a market, in fact, you've given me the inspiration to do it soon. Love the colors, the melanin (y'all are gorgeous) and the setting. Well done. Thanks so much Hun, I hope you do, I look forward to seeing it. Thanks for stopping by and making your presence known. Not all Nigerian tailors steal or sell your materials, my mum make female wares, she gives you exactly what you want(depending on your style) and she's taught her apprentices same thing i.e managing customers materials but still giving them what they want.